There are very few things in this world that change a person’s lifestyle as drastically as a diagnosis of a chronic lung disease, everything from what you eat to how you live needs to be adjusted in order to live the highest quality of life with such a tasking disease. Emphysema being one of those chronic lung diseases affects all aspects of a patient's life. It’s at the exact time of diagnosis that patients often lose hope in their well-being and often conform to accepting the inevitable results. A diagnosis of emphysema doesn’t mean the life you have enjoyed since day one is unobtainable, it’s more about adjusting the things you enjoy to also be beneficial to your weakened respiratory health. Emphysema is both a progressive and degenerative lung disease that’s formation is due to excessive exposure to smoke and other lung irritants over many years. The disease gradually begins to attack the little air sacs in the lungs known as the alveoli, these elastic grape like structures slowly become damaged leading to an inability to breathe clearly. 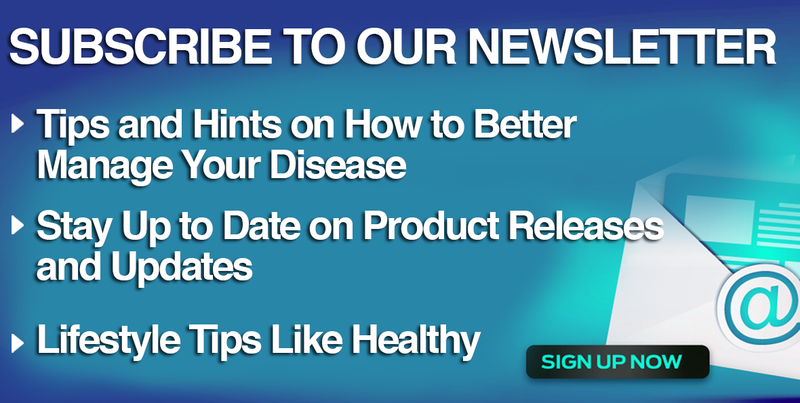 Let's now look into what you can do to improve your overall quality of life while living with emphysema. Emphysema has no end all cure and is part of a collective that makes up the disease known as chronic obstructive pulmonary disease (COPD). Whether you have recently been diagnosed, have a family member that is emphysema diagnosed, or believe you have emphysema, the following guide will provide you with all the information and knowledge you need to live a happy, healthy, and social lifestyle with an often debilitating lung disease. Your doctor can’t be with you at all times during the day, so you need alternative methods to get quick answers for your emphysema related question. Instead of calling and waiting for a call back from your doctor, check out any one of the following authoritative resources to become better educated to allow you to more precisely describe your symptoms to your doctor and to get the most out of each visit. Emphysema’s number one cause is from long-term use or exposure to cigarettes, but you may be wondering how exactly this progressive lung disease affects your breathing. The lungs are filled with millions of tiny air sacs, which are known as the alveoli, and in a healthy person those air sacs are elastic grape like structures that fill with oxygen and deflate with each inhale and exhale. In lungs harbored with emphysema, the millions of air sacs slowly begin to become damaged and eventually rupture. Causing the formation of one giant air pocket in the lungs that traps “old air”, leaving little room for new oxygen rich air to fill the lungs and be dispersed to the body’s vital organs. The alveoli lose their ability to easily empty and push oxygen out. Being a progressive disease, more and more damage will be done to the air sacs making it increasingly difficult to breathe. Long-term exposure to any of the 3 following lung irritants puts you at an increased risk of developing emphysema. There is also another cause of emphysema other than smoking, air pollution or manufacturing fumes. Which is a genetic deficiency that leaves the elastics structures in the lungs unprotected. Which is then referred to as Alpha-1 antitrypsin deficiency emphysema. Smoking – This is the leading cause for lung disease, including emphysema, the longer you smoke and the more tobacco you use only increases the risk of development. This includes pipes, cigars, and exposure to second hand smoke. How does smoking cause emphysema you ask? Due to the toxins in cigarettes, the linings of the air sacs in your lungs become damaged beyond repair. As the linings are destroyed air pockets begin to form in your lungs, causing air to be trapped. Which causes your lungs to slowly enlarge and requiring additional effort to breathe. Aging – The lungs naturally begin to lose their function as you age, even in non-smokers. Regular smokers that end up developing emphysema typically begin noticing symptoms between the ages of 45-60. Second Hand Smoke Exposure – The longer you are exposed to the smoke from a smoker’s cigarette, pipe or cigar your chances of emphysema increase. Work Place Fumes and Dust – Fumes from certain chemicals as well as dust from cotton, wood, grain, or mining products may damage the lungs leading to the development of emphysema. Indoor/Outdoor Pollutants – Just like occupational exposure, pollutants at home or while you are running errands can be just as damaging. Avoid indoor pollutants such as heating fluid and cleaning fumes, while also staying clear of outdoor pollutants like car exhaust and open fires. 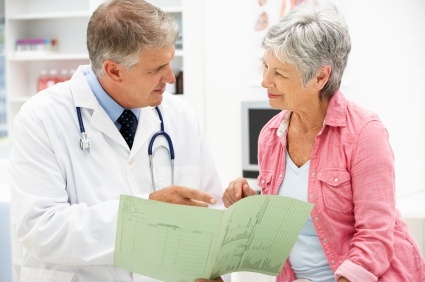 Felt symptoms vary on a patient to patient basis, often time’s patients have unknowingly had emphysema for years until they begin to notice any signs or symptoms. With that said the level of shortness of breath (dyspnea) will vary by patient, as this is the main symptom of emphysema. Other symptoms of emphysema in men and women may also vary. Over time the progression of shortness of breath will increase from not only being noticeable during times of peak physical activity to eventually causing shortness of breath while resting or performing any casual activity. Shortness of Breath – After extended damage to the lungs, mainly from smoking, your lung function will dramatically decrease. At the beginning you may find it hard to breathe during peak physical activity, but over time as emphysema progresses, shortness of breath becomes more noticeable and common during non-strenuous activities. This is often the most common symptom. Wheezing – If this is your only symptom your doctor may first run tests to look for asthma as wheezing is also a common symptom. 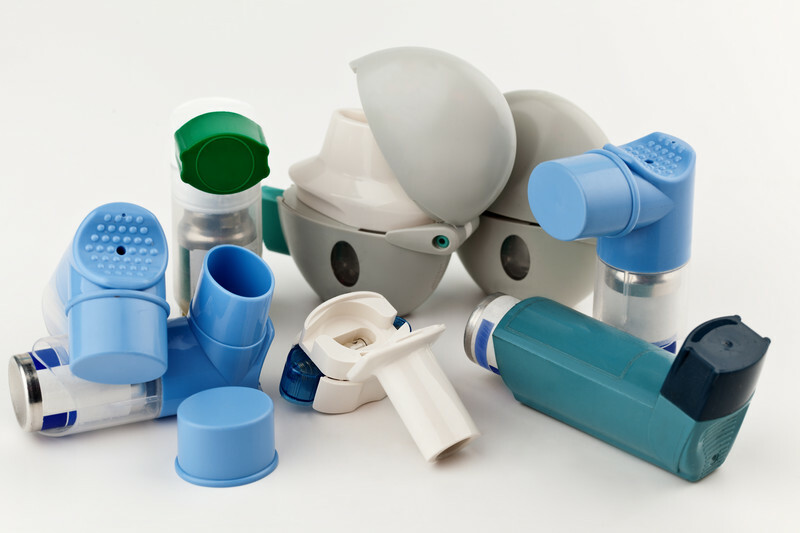 The use of inhaled bronchodilators will help relieve the felt effects of wheezing. Persistent Cough – A frequent cough can be attributed to years of smoking which is why many emphysema patients deal with some sort of cough. Although smoking cessation won’t necessarily mean the end of the cough, often times a cough will still persist after quitting. Chest Pain or Tightness – Peak physical exertion or exercise can lead to you experiencing shortness of breath that can result in a frequent occurrence of chest tightness. Chest tightness may also be a symptom of a coexisting heart disease. Seeing how emphysema is an extremely progressive lung disease, the occurrence and worsening of breathlessness simply depends on whether you decide to continue smoking or not. No matter if you are a smoker or not, emphysema will gradually decrease your lung function, but continuing to smoke will only expedite its progression. 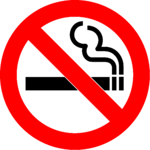 Eliminating such a nasty habit will decrease the progression of the disease to that of a nonsmoking patient. As the rate of progression varies by patient and is hard to predict, emphysema that is attributed to smoking patients typically notice symptoms between the ages of 45-60. Collapsed Lung (Pneumothorax): Experiencing a collapsed lung can be life-threatening if you have severe emphysema, due to the already weakened state of your lungs. Typically this is an uncommon complication, but is extremely serious if it does occur. Heart Problems: Emphysema can increase the pressure in the arteries that connect the heart and lungs. Resulting in a condition known as cor pulmonale, which is when a section of the heart expands and weakens. Large Holes in the Lungs (Giant Bullae): Some patients with emphysema may develop empty spaces in their lungs, which is referred to as bullae. Those empty spaces are even larger with giant bullae, which can be up to as large as half the lung. The presence of giant bullae will not only reduce the space your lungs have to expand, but it can also increase your risk of a collapsed lung (pneumothorax). Barrel Chest – As a result of the lung expansion that emphysema leads to, patients may have a larger than normal rib cage which indicates the presence of the lung disease. 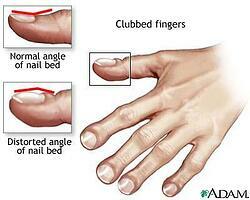 Clubbing – Low blood oxygen levels can lead to rounded fingertips (clubbing), which typically occurs in advanced emphysema. Hypoxemia (Hypoxia) – Low blood oxygen levels (hypoxemia) which can result in low oxygen levels in your tissues (hypoxia). These can be detected with pulse oximetry, arterial blood gas analysis (ABG), or pulmonary function tests. Hypercarbia – Due to the lack of ability to expel carbon dioxide, there is high levels of carbon dioxide in the blood stream. Cyanosis – Severe emphysema can lead to blue tinted lips as a result of low blood oxygen levels. Malnutrition – Not eating a proper diet combined with exercise can lead to your muscles deteriorating and wasting away during advanced emphysema. 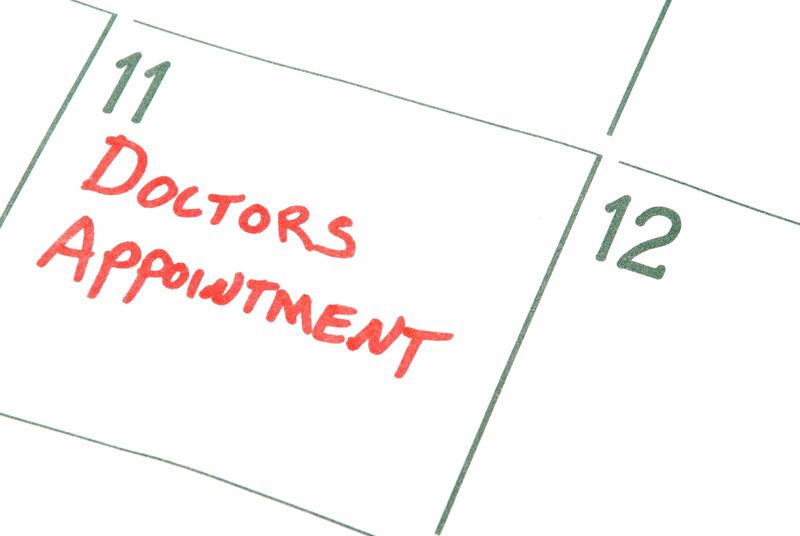 If you are experiencing an unexplained increase of shortness of breath for months at a time, or you notice it steadily getting worse, especially if it's harboring your ability to complete daily tasks you should schedule an appointment to meet with your doctor. The worst thing you can do is to ignore it or try to attribute it to age, weight, or deconditioning. For your first appointment to get tested for emphysema, you will either meet with your primary doctor or a lung disease specialist (pulmonologist). You may be hesitant to take the first step to get tested in fear of the possible results, but the sooner you can begin treatment for emphysema the more effective it will be. Do You Smoke? If so, About How Many Packs Per Day? When did You Start to Smoke? 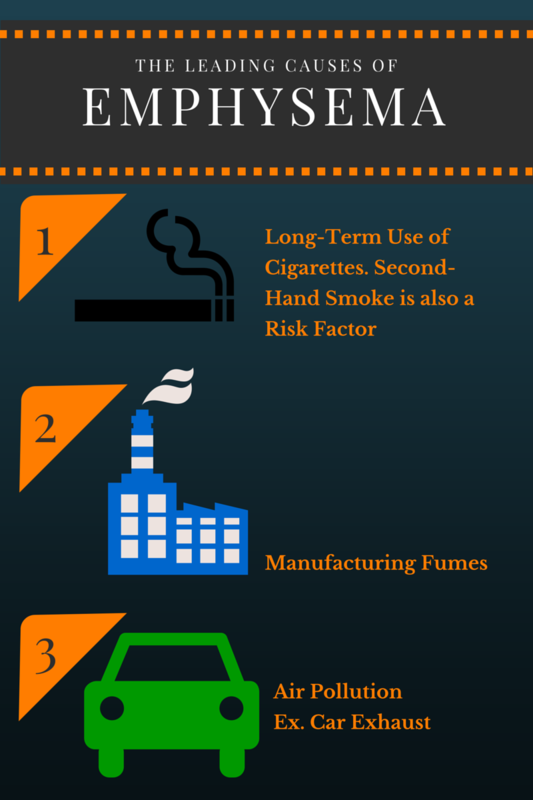 Are You Exposed to Second-Hand Smoke? Have You Ever Held a Job that Exposed You to Industrial Dust or Chemical Fumes? Are Lung Problems Common in Your Family? Do You Regularly Take Medications or Supplements? If so, What Kind? Do You Have a Frequent, Every Day Cough? When did it Start? When did You First Notice and Occurrence of Shortness of Breath (Dyspnea)? If You're a Smoker, Have You Tried to Quit? Does a Family Member Have Emphysema? Does Shortness of Breath Restrict You from Completing Daily Tasks? Have You Experienced any Noticeable Weight Gain or Weight Loss? Do You Notice Your Fingernails or Lips Turning Blue? Lab Tests – A simple blood sample from an artery in your wrist is used to assess how beneficial your lungs are at transferring oxygen into the bloodstream, while also showing how well the lungs remove carbon dioxide from the bloodstream. Imaging Tests – One of the possible imaging tests your doctor may run is a chest x-ray, this will provide them with an internal view of your chest and lungs. This is a popular option for diagnosing advanced emphysema while also for ruling out other possible triggers for shortness of breath. Chest x-rays can often display normal findings even with the occurrence of emphysema, which is why your doctor may also require a CT scan. CT scans take x-ray images from different directions and puts them together to form a full sectional display of your internal organs. 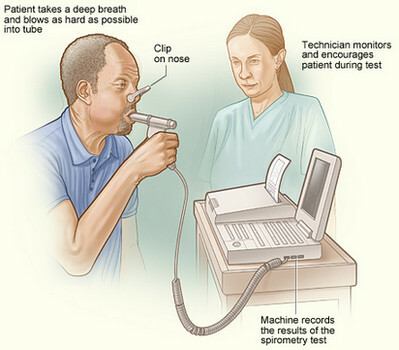 Lung Function Tests – A common form of lung function testing is with a spirometer device (see photo above), this easy and noninvasive test gives your doctor a clear picture of the total amount of air your lungs can hold and how well oxygen rich air flows in and out of your lungs. Requiring you to only blow into the device, this is a painless test. At the present time there is no definitive cure for emphysema, but researchers and doctors alike are on a determined track to finding a cure. A combination of medication, therapeutic, and surgical treatments will be used by your doctor to slow the progression of your respiratory disease. Inhaled Steroids – Known as corticosteroids, these inhaled medications help provide relief during periods of shortness of breath. However extended usage can increase the risk of cataracts, high blood pressure and diabetes. Bronchodilators – Your doctor may recommend this to alleviate shortness of breath, coughing and other breathing problems by relaxing the tightened airways. Bronchodilators aren’t as effective for treating emphysema as they are for treating chronic bronchitis and asthma. Antibiotics – This treatment option will be used if you develop a bacterial infection such as pneumonia. You should make it a top priority to get a yearly flu and pneumonia vaccinations to reduce your chances of developing a tasking bacterial infection. Pulmonary Rehabilitation – This is probably one of the most beneficial treatment options for patients with a lung disease such as emphysema. Pulmonary rehab will equip you with the tools you need to live an active, healthy, and happy lifestyle with an incredible restrictive disease. Specialists will teach you breathing exercises to reduce the effects of breathlessness, go over proper eating habits and develop a diet plan, while also showing you the types of exercises you should try and how to properly exercise without over exerting yourself to improve your stamina. This is one of the most beneficial and if not the most educational treatment options for patients with a chronic lung disease. Oxygen Therapy – Depending on the progression of emphysema, your doctor may prescribe oxygen therapy in order to reduce the occurrence of breathlessness due to low blood oxygen levels. Options include both portable and home oxygen concentrators. Portable oxygen machines will allow you to exercise and be away from the house while still receiving your prescribed amount of oxygen. Nutrition Therapy – You will be provided with knowledge and advice from a specialist regarding foods you should enjoy and ones that you should avoid. This therapy is especially useful as patients in the early stages of emphysema typically need to shed a few pounds, while patients in the later stages need help adding a few pounds. This will be the place you find the answers to all your dieting related questions. Lung Volume Reduction Surgery – During this surgery your doctor will go in and remove damaged tissue from the lungs. Removing the damaged tissue will allow for healthy lung tissue to expand and work more efficiently to improve breathing. Lung Transplant – If you doctor has unsuccessful results with other treatment options, a lung transplant may be recommended for severe emphysema. During pulmonary rehab you are shown how to perform a couple of emphysema breathing exercises that you can use whenever you experience increased shortness of breath. In case you have not enrolled in pulmonary rehab, which is highly recommended, breathing exercises for emphysema include pursed lip breathing and diaphragmatic breathing. Learn how to perform both below. This breathing exercise is most effective when sitting on a chair or laying down on your back. The diaphragm is the main muscle used for breathing, meaning it is supposed to handle majority of the work. Quit the Cancer Stick – As you are well aware, smoking is the leading cause of emphysema and other chronic lung diseases. Quitting smoking is the absolute most important adjustment you can make so further damage isn’t done to your lungs. If you are having a hard time quitting on your own, ask your doctor about possible smoking cessation programs. Stay Clear of Other Lung Irritants – Be sure to regularly replace air conditioner and furnace filters to reduce the spreading of irritants throughout your home, especially if you own dogs or cats. Other respiratory irritants include some cooking fumes, perfumes, aerosol sprays, exhaust from automobiles, candles or incents. Stick to a Regular Exercise Routine – Aim to workout 3-5 times per week, unless your doctor has said otherwise. 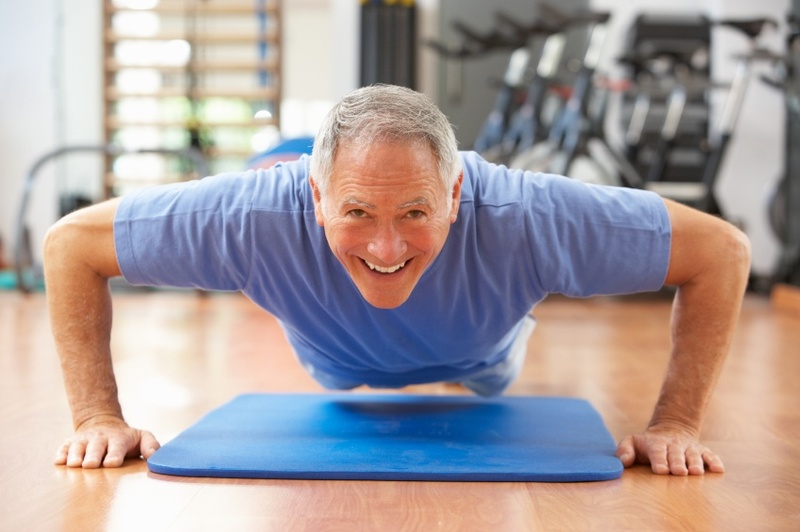 Don’t let the thought of shortness of breath hold you back from living an active life, because unlike what most people believe exercise is extremely helpful at combating the progressive nature of emphysema by gradually increasing lung capacity. Stay Protected from Cold Weather - Exposure to cold weather can cause the bronchial passages to spasm, further decreasing your ability to breathe. Pay attention to your local weather daily. When heading out into cold weather, make sure to wear a soft cloth scarf over your nose and mouth, doing so will allow the cold air to warm before entering your lungs. Prevent Respiratory Infections - Respiratory infections and viruses can further harbor your ability to breathe. Which is why it is so important to get a yearly flu shot and a pneumonia vaccination according to your doctor's recommendation. To further enhance your infection prevention efforts, you should do your best to avoid people with a cold or the flu. During the cold and flu season wash your hands frequently, or even carry a small portable bottle of hand sanitizer to use when on the go. Maintaining a Healthy Diet - Due to your reduced lung capacity, breathing requires a higher energy demand for basic daily activities, causing unwanted weight loss and nutritional deficiencies. While maintaining adequate nutrition you should also be mindful to not put on too much weight, as this can worsen symptoms and lower fitness levels. Living with a respiratory disease like emphysema you wouldn't think what you eat would have any impact on your breathing. This common belief is false. Due to the increased workload of your lungs, they require a higher energy demand to complete even the simplest of daily tasks. The increased energy demand can lead to unwanted weight loss and nutritional deficiencies. Nutrition is a key aspect in proper emphysema management. However, over eating can also lead to weight gain that can increase shortness of breath and further decrease your physical fitness. Overweight patients with emphysema are encouraged to lose weight. So it's important to find the perfect balance to obtain a healthy weight, which is one thing you will learn in pulmonary rehab. Before starting to eat any of the following foods, talk to your doctor about possible health complications that could arise. Make sure to follow the emphysema diet plan your doctor designed for you as close as possible to obtain optimal health results. Complex Carbohydrates: Complex carbs provide your body with the energy it needs to handle physical exertion. Plus they are loaded with fiber and other nutritional benefits that your emphysema ridden body needs. Fiber: Everyday you should aim to eat 20-30 grams of fiber per day. 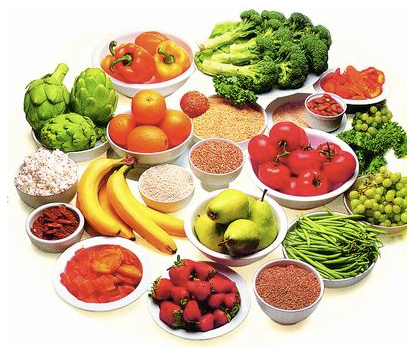 Optimal fiber options are from sources such as fruits, vegetables, pasta, nuts, and seeds. A regular intake of fiber is important as it helps maintain proper bowel function to minimize constipation and bloating. Protein: Maintain maximum strength of your respiratory muscles by eating protein at least twice a day. 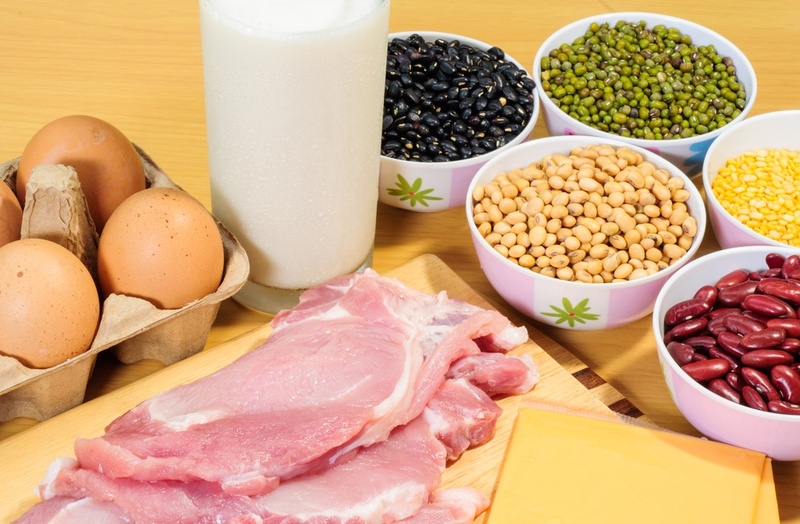 Protein also provides protection for your body, it produces antibodies that help it fight off disease worsening infections. A protein deficiency can result in an increase of infections in the lungs. Unsaturated Fats: There are two types of unsaturated fats, monounsaturated fats and polyunsaturated fats. These healthy fats do not contain cholesterol and are often derived from plant based sources. Exercise is another key component of pulmonary rehab, more than likely a specialist will sit down with you and design an exercise routine specifically for your needs. Exercising with emphysema is vital to maintaining your health, though it may seem counterproductive to become short of breath, exercise can actually improve your lung function, heart health, and reduce blood pressure. Ideally you should work up to exercising 3-4 times a week for 20 to 30 minutes. Don't give up if you can only handle physical activity for 5 minutes at a time, keep at it to gradually increase your stamina. Before starting any exercise plan, make sure to speak with your doctor. Stretching - Before Exercising, Warm Your Muscles Up and Prevent Injury by Stretching for 5-10 Minutes. This will Lengthen Muscles and Improve Flexibility. Yoga/Pilates - Yoga and Pilates are Excellent for Improving Both Breathing and Coordination. Cardiovascular Exercises (Stationary Bike, Jogging, Walking) - These Type of Physical Activities Strengthen Both Your Heart and Lungs, While also Lowering Blood Pressure. Sun-Style Tai Chi - Sun-Style Tai Chi is a Great Mild Workout for Improving Balance and Lower Leg Strength, While also Beneficial for Reducing Stress Levels. Water Aerobics - Fun Water Exercises that Boost Both Endurance and Energy Levels, While also Reducing Shortness of Breath and Fatigue. Water Aerobics will also Improve the Way Your Body Uses Oxygen. Lifting Weights - Lifting Weights causes Your Muscles to Contract, Breaking Down and Rebuilding Muscles. Resulting in Strengthened Respiratory Muscles and Increased Endurance. To Avoid Over Exerting Yourself, Opt for Lighter Weights as they are Just as Effective at Building Muscles as Heavier Weights. The diagnosis of emphysema can leave you with feelings of loneliness with nowhere to turn, especially during the onset of breathlessness which can cause you to miss out on many of the activities you enjoy. Talking and Being Open about Your Feelings – It may be hard to find the words to describe the troubles and pain you experience on a regular basis. But talking and being open about your symptoms and the way you feel will help both your doctor and family better assist you throughout your treatment. Discuss daily tasks that may be difficult for you to complete, and talk with a family member about how they could assist with specific tasks to make your overall work load easier. Scheduling regular counseling sessions is also an extremely beneficial way to help you cope with the presence of a progressive lung disease. 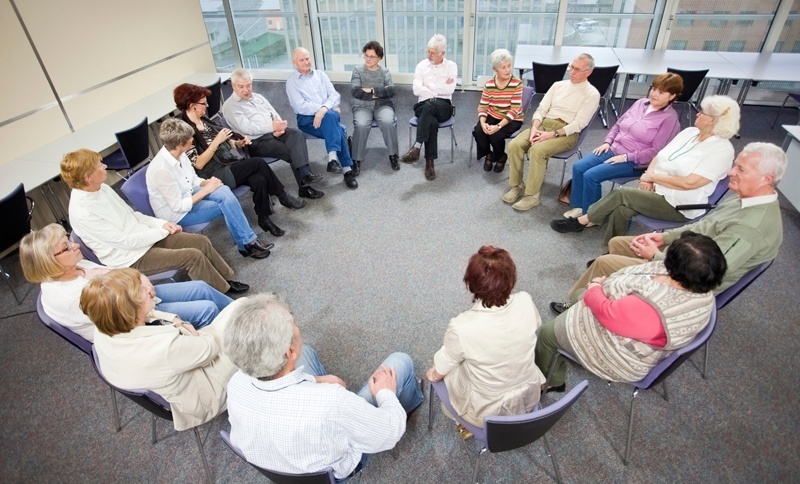 Find a Support Group – Ask your doctor about any support groups in your area that they can recommend, support groups help patients cope with emphysema by sharing stories, tips, and discussing felt symptoms with patients in similar situations. Support groups provide insight and knowledge from people that know exactly what you’re going through that you can use in your day to day life, plus it’s a great way to socialize and meet new friends. Living with a respiratory disease like emphysema is certainly no easy task. But with a dedicated approach to quit smoking, following treatment plans and avoiding harmful lung irritants you can help slow the progression of this incurable disease. What are some of your tips you would give to someone recently diagnosed with emphysema? What were some of your favorite tips that you used to quit smoking? Emphysema is a restrictive disease, but that doesn’t mean it should control every aspect of your life. It’s time to take action whether that be getting tested for emphysema or talking to your doctor about what more you can do to improve your day to day life with emphysema. After all you deserve to be happy, active and social!